OUR CLIENTS CARE ABOUT RESULTS. WE DELIVER. 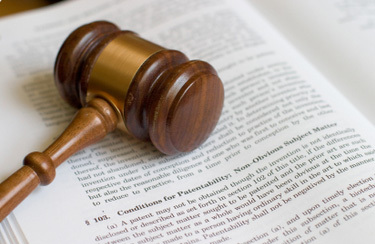 Our litigation is results-focused because our clients care about results. Successfully defended trademark infringement lawsuit filed in federal court in Kansas against vision care benefits provider; The trial court granted summary judgment for the defendant. Reported in Spectrum Vision Systems, Inc. v. Spectera, Inc., 35 F. Supp.2d 797 (D. Kan. 1998). Successfully forced local defendant to cease using federally registered trademark of Iowa client after filing a federal lawsuit. Successfully obtained favorable settlement for national pet food company against competitor after competitor agreed to change the names of its products after we filed a federal trademark lawsuit. Successfully negotiated multiple consent agreements after filings before the Trademark Trial & Appeal Board. Successfully defended federal lawsuit brought under the domain name provisions of the Lanham Act against West Texas client; The client was able to retain the domain name and granted a limited license to the defendant that limited the defendant’s continued use of the defendant's business name. Successfully recovered damages and obtained permanent injunction in federal copyright lawsuit filed on behalf of client in Georgia based on the defendant’s infringement of multiple drawings; The settlement was funded by the defendant’s insurance company and the named defendant. Successfully obtained favorable settlement for multiple clients who have been accused of pirating satellite signals for sporting events. Successfully shut down competitor’s website on behalf of West Texas client; The website featured photos of client's work passed off as the work of the competitor. Successfully defended the real party in interest on a writ of mandamus before the Seventh District Court of Appeals for Texas in a trade secrets case; The relator filed a writ of mandamus after the trial court had granted our client’s request for a mirror image of multiple computers at relator’s place of business. Reported in In re N&T Specialty Welding & Mfg., 2008 WL 5050301 (Tex. App.--Amarillo 2008, orig. proceeding). Successfully obtained $74,174.58 sanction award of fees and costs for West Texas client against multiple defendants based on the intentional destruction of electronic evidence; The award was later vacated by agreement of the parties pursuant to a permanent injunction against the defendants. Successfully defended multiple former employees accused of trade secret theft who had signed non-compete agreements. Successfully prevented competitor of client from manufacturing, selling and distributing competing product that was the subject of a non-compete agreement. Merrick Pet Care, Inc. v. c/o merrickfood.com, FA0903001254168 (Nat. Arb. Forum May 14, 2009). Successfully obtained favorable settlement for inventor who was misled by an invention promotion company. Successfully obtained confidential settlement for family of deceased celebrity over the unauthorized use of his image in product packaging. Successfully obtained reversal and remand of adverse jury verdict in case involving a pipeline leak. Reported in Duke Energy Field Services, L.P. v. Meyer, 190 S.W.3d 149 (Tex. App.--Amarillo 2005, no pet.). The results obtained depend on the facts of a given case. These results may not be typical.